Although Outside Van‘s motto may be “Life is simple in a Van,” their latest model is anything but. The Powerstation is a powerhouse of off-grid living – a tiny home on wheels that can go practically anywhere. The souped-up camper van combines high-tech functionality with a comfortable cabin-like living space, all for the low price of $320,000. 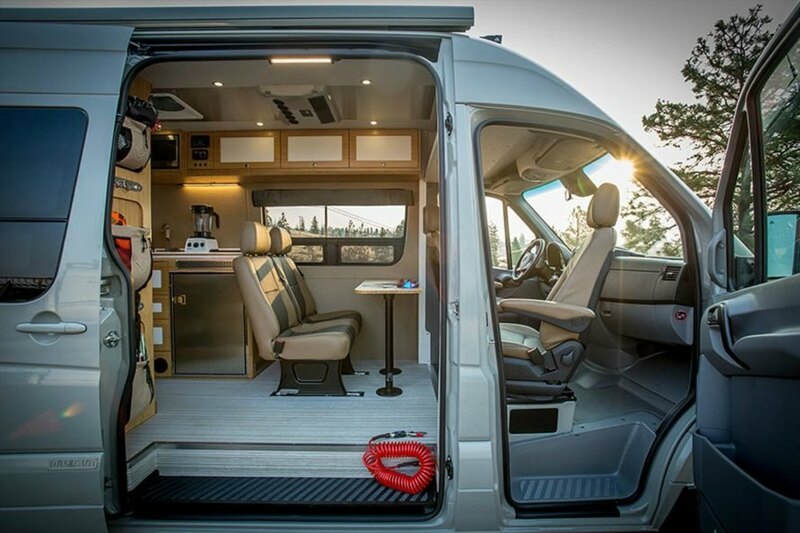 The team behind Outside Van takes 4×4 Mercedes-Benz Sprinter vans and turns them into custom-made adventure vehicles. In this case, a client requested an off-grid vehicle for mountain biking outside of Las Vegas. 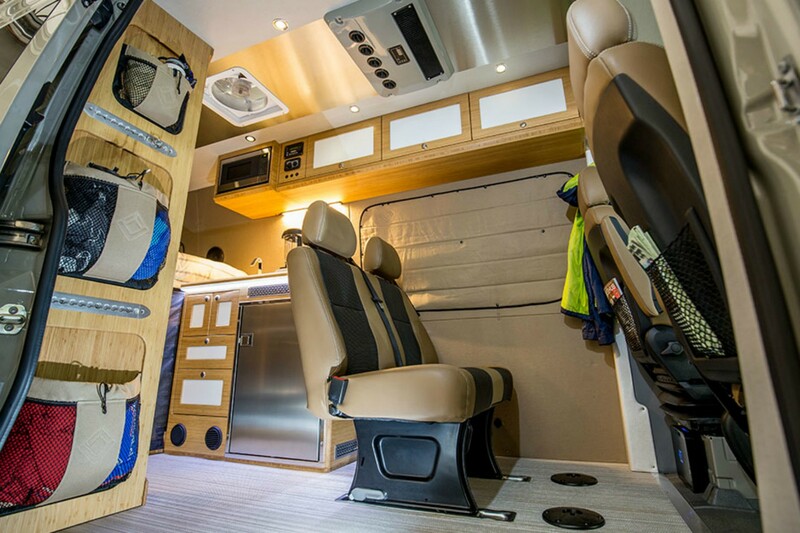 The result is a rugged home on wheels that sleeps six and comes with plenty of room for bike storage. 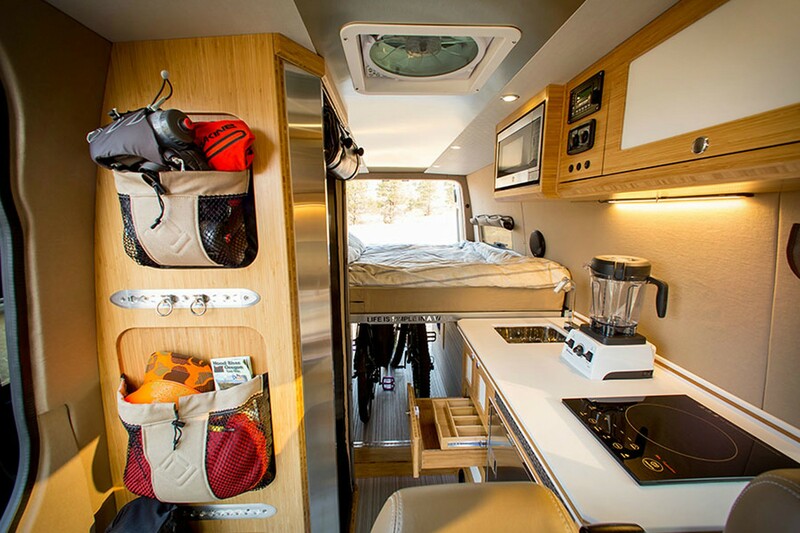 The van was designed to offer optimal off-grid functionality combined with all the comforts of home. 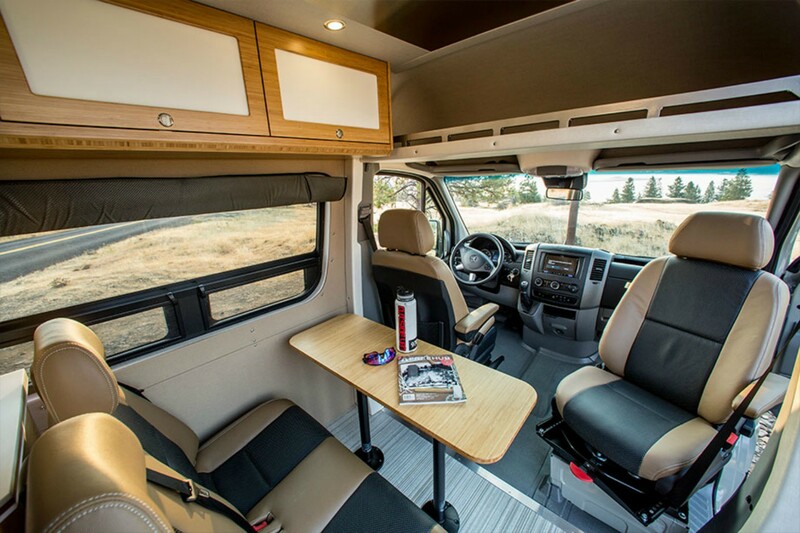 Although compact, the living and sleeping space has enough space for a queen-sized bed, a two-person bench, and a bamboo cafe table, in addition to offering several strategic storage options. The kitchen is outfitted with a large custom-made galley with a stainless-steel refrigerator and bamboo cabinets. As far as technology, the van contains $24,000 worth of impressive power-generating gear, including battery packs, solar panels, and a diesel-based heating system. A 100W Solar Roof Rack is used to power the van’s electricity and charge electronics. LED lighting was installed for the interior and gear storage lights. Although Outside Van's motto may be "Life is simple in a Van," their latest model is anything but. The Powerstation is a powerhouse of off-grid living - a tiny home on wheels that can go practically anywhere. The souped-up camper van combines high-tech functionality with a comfortable cabin-like living space, all for the low price of $320,000. 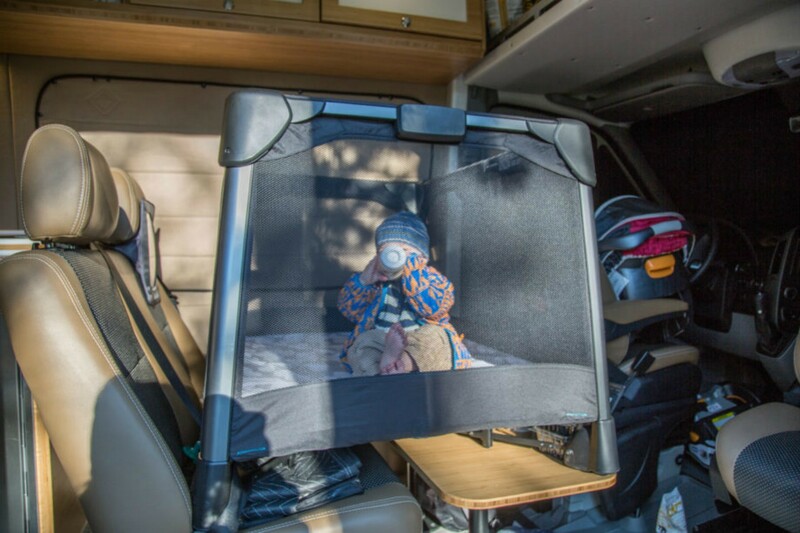 The van provides several storage space options. 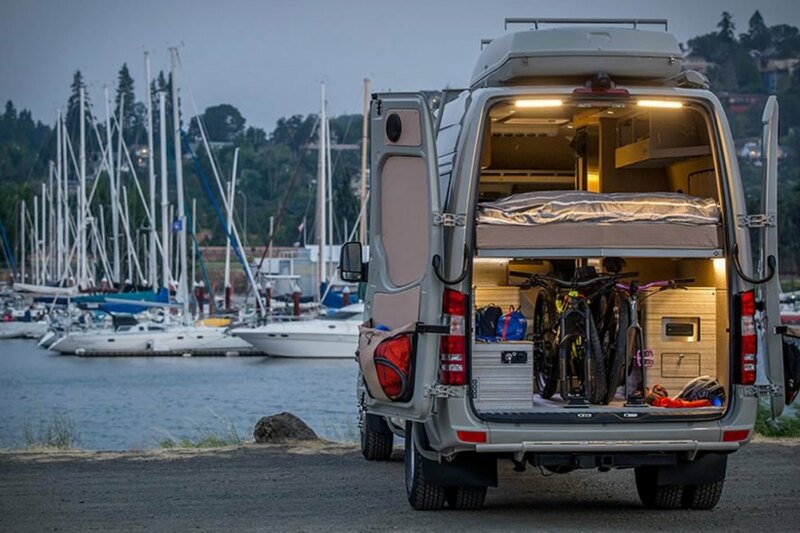 The team behind Outside Van takes 4x4 Mercedes-Benz Sprinter vans and turns them into custom-made adventure vehicles. 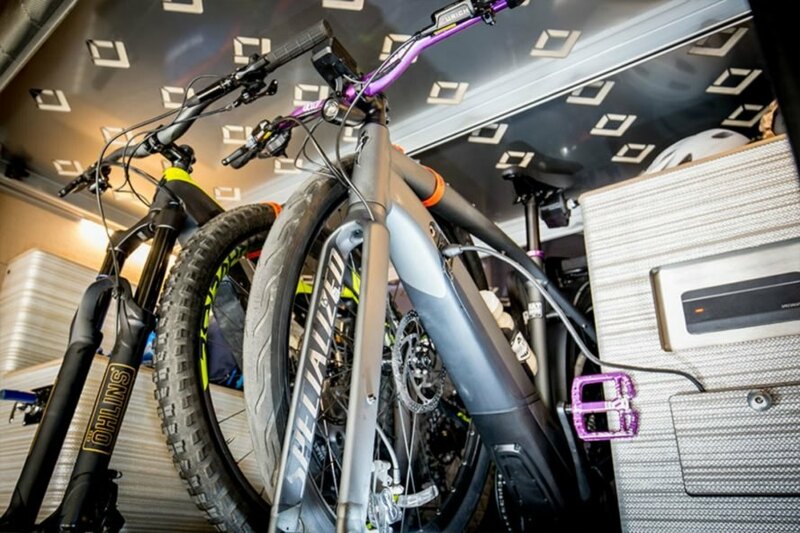 n this case, a client requested an off-grid vehicle for mountain biking outside of Las Vegas. 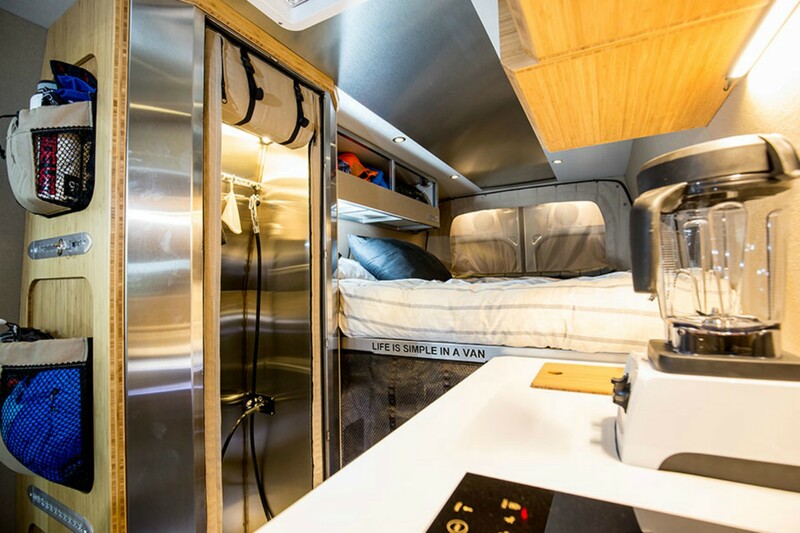 The Powerstation is a rugged home on wheels that sleeps six and comes with plenty of room for bike storage. 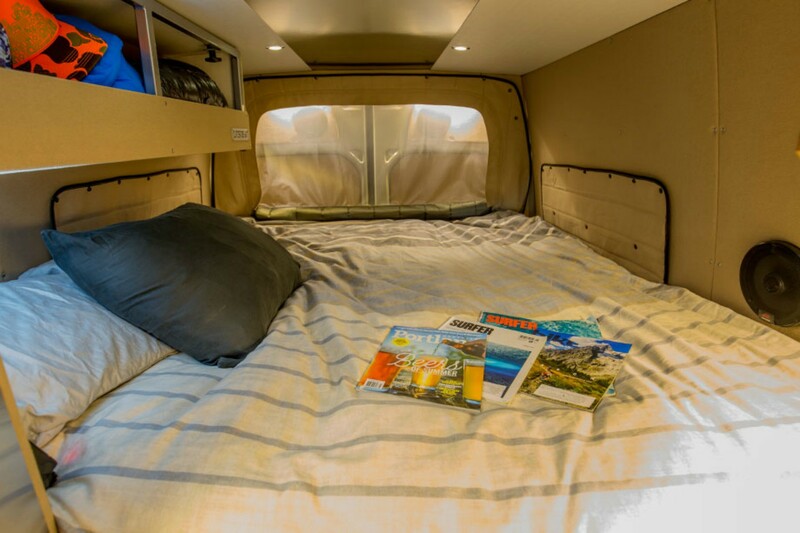 The van was designed to offer optimal off-grid functionality combined with all the comforts of home. The interior was designed to emit a cozy cabin vibe. Although compact, the living and sleeping space is comfortable and offers several strategic storage options. The sleeping space is spacious enough for a queen size bed. The kitchen is outfitted with a large custom-made galley with a stainless steel refrigerator and bamboo cabinets. The Outside Van Powerstation's kitchen comes with a stainless-steel refrigerator and bamboo cupboard. 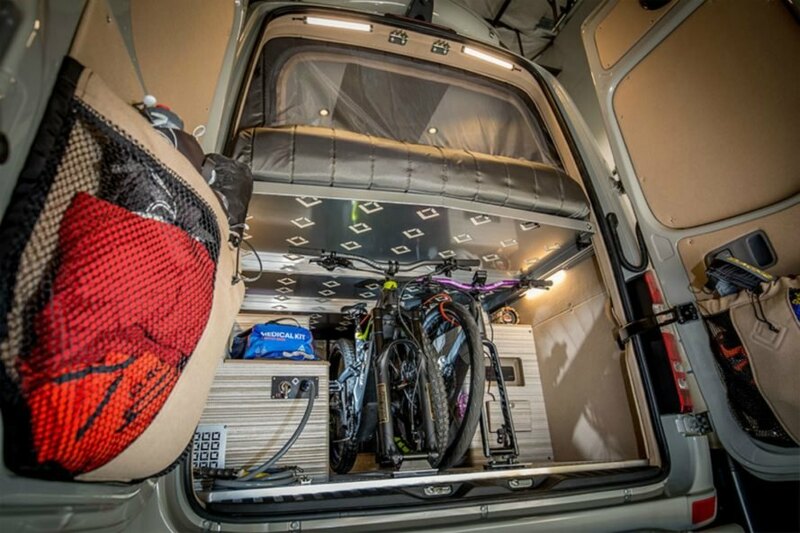 The van offers tons of bike storage. The seats are removable to make room for more storage. The van's sleeping area fits a queen-size bed. The van was equipped with tons of bike storage. 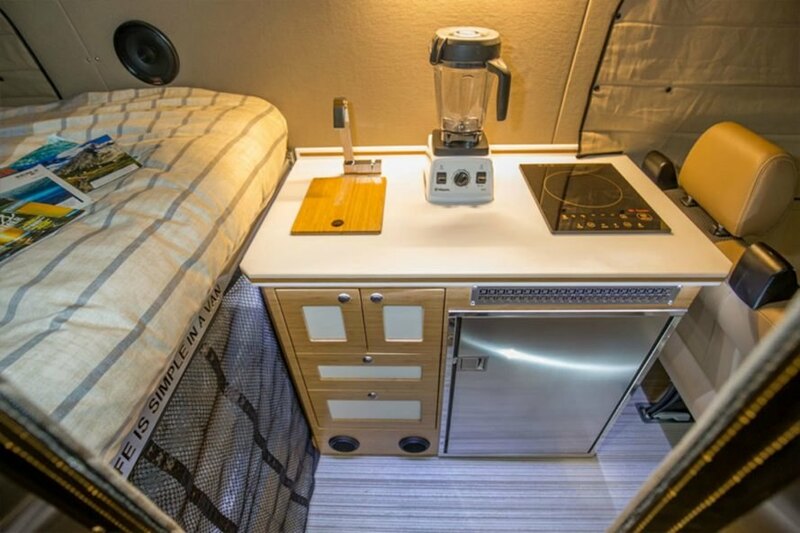 Outside Van is the ultimate off-grid camper.